The FAA issues many waivers and discretionary issuances for pilot not meeting the distant visual acuity standards. 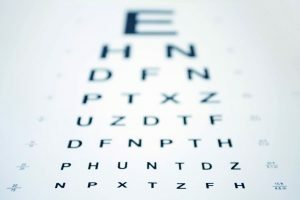 There are many options including but not limited to: petitions for operational experience, standard or orthokeratology corrective lenses, and waivers such as a Statement Of Demonstrated Ability (SODA). The eye chart below is provided as an educational tool for pilots. Charts should be illuminated with a 100 watt incandescent lamp placed 4 feet in front of and slightly above chart. Place 20/20 line 5 feet 4 inches from floor and read at 20 feet.